Gently lull your little one to sleep with the Dream Musical Mobile from Just Born®. The perfect addition to your nursery accessories, this adorable baby mobile plays Brahm's Lullaby while it gently spins, helping baby to fall asleep smoothly and comfortably. 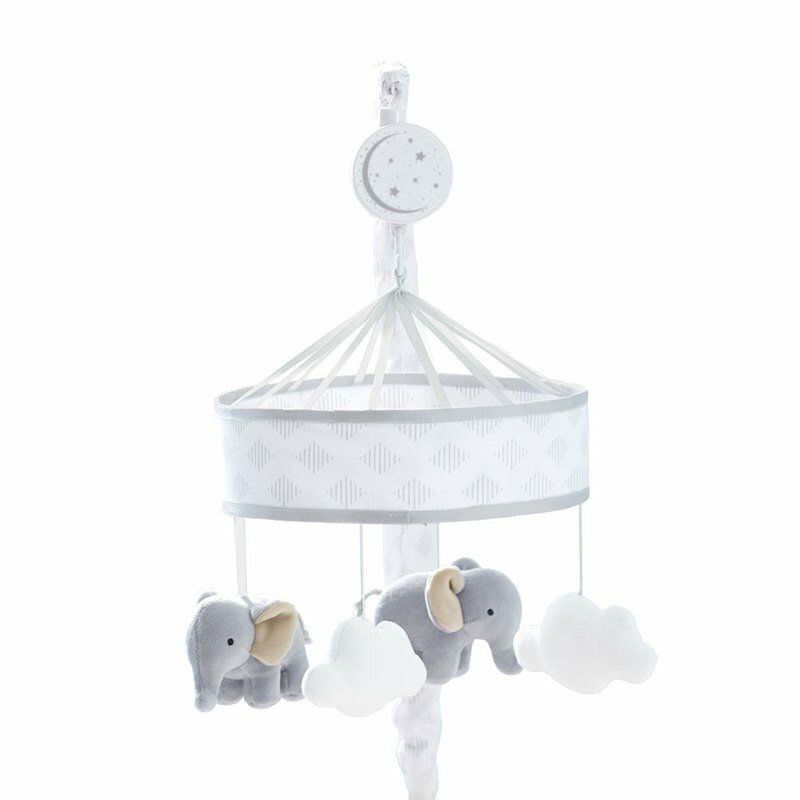 Soft clouds and elephants hang from the musical mobile, which features a soothing silver-gray and white design.